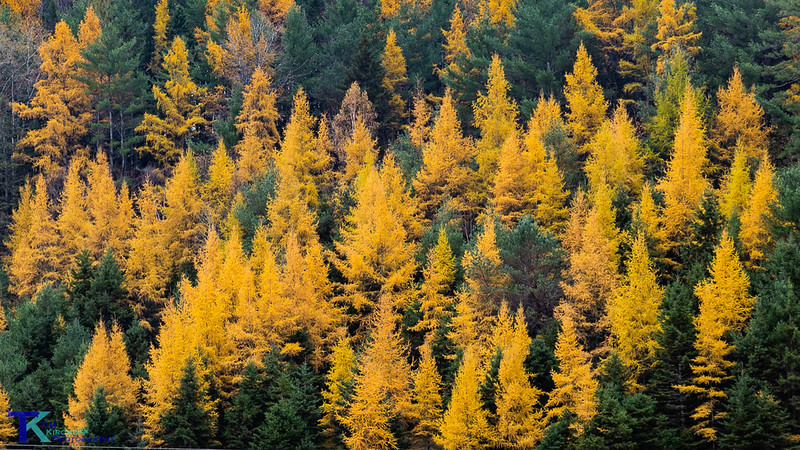 I'm interested in visiting the Northeast Kingdom to photograph tamarack (larch) trees once they have turned yellow. I'm looking for any reports from Vermonters on the tamarack color progression. I believe the first two weeks of November are usually a good time, but don't know if they too are running late this year. Also does anyone know of locations with particularly large stands of tamaracks. When I was in the NEK in the first week of October, I saw lots of them scattered around here and there, but saw a lot in Victory Basin. Thanks in advance for any help. The tamaracks are putting on quite the display right now. I was up there this weekend with my husband. It wasn't a weekend for photography but I did manage to take a few shots. I hope you went up this weekend. If you didn't go this weekend, I hope you can make it up there next weekend. I think Moose Bog would be the perfect place to go. I'm going up there Next November for sure. Here's a blog post I just put up with some photos I quickly took today. Gah. Wish I had more time! Carol, thank you for the report. 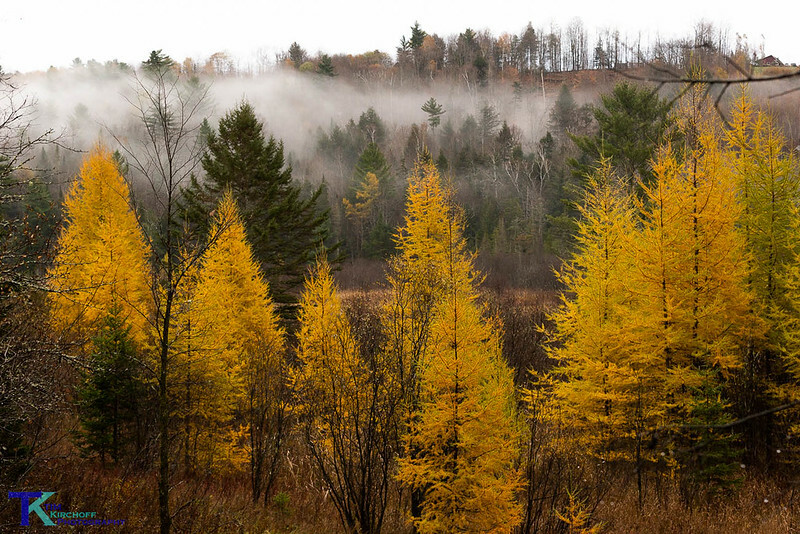 Your photos of the tamaracks look great. What appeals to me about them is they turn color after everything else is done, so the their color really stands out from the rest of the landscape. I had some other obligations this past weekend, so I did not go up. But based on your report, I will probably go up on either Tuesday or Thursday this week for a long day trip. 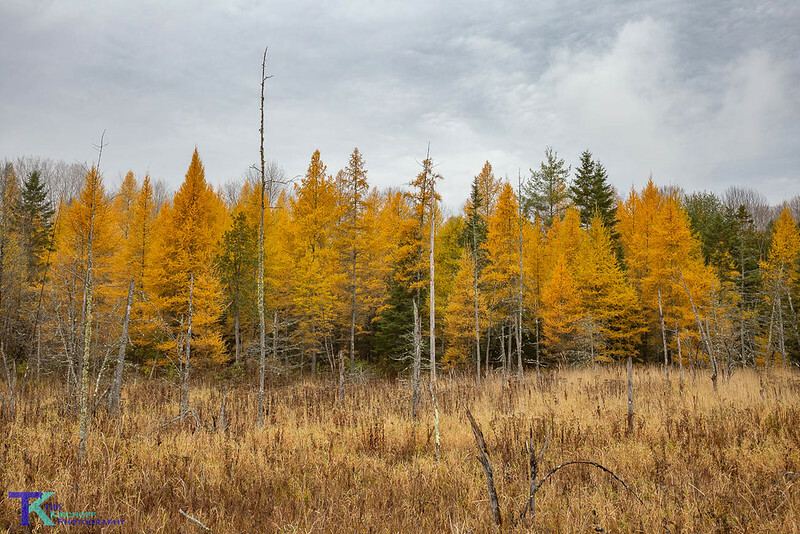 For future planning, ctyanky sent me a link to this site, which has a map showing locations of tamarack trees in Vermont. There seems to be larger concentrations around Groton State Forest and the Worcester range, northeast of Montpelier and south of Hardwick. Thank you Ed. I can not wait to see your photos. Have a wonderful time on your day trip! Sorry I missed this post and didn't get a reply in earlier. The Tamaracks of the NEK are starting to fade. The best time to get them here is the last week of October through the first weekend of November. They are fickle as are most leaves as once they change a strong wind will blow the needles off quickly. The tamaracks really add that nice last pop of color to the landscape as stick season starts. They are usually found in clusters in semi-swampy areas. Sometimes you can find them scattered among other trees on hillsides as above Exit 23 in Lyndon (see below). This last one is from last Thursday, across the road from my house. I DID see that stand of trees at exit 23. They are beautiful. 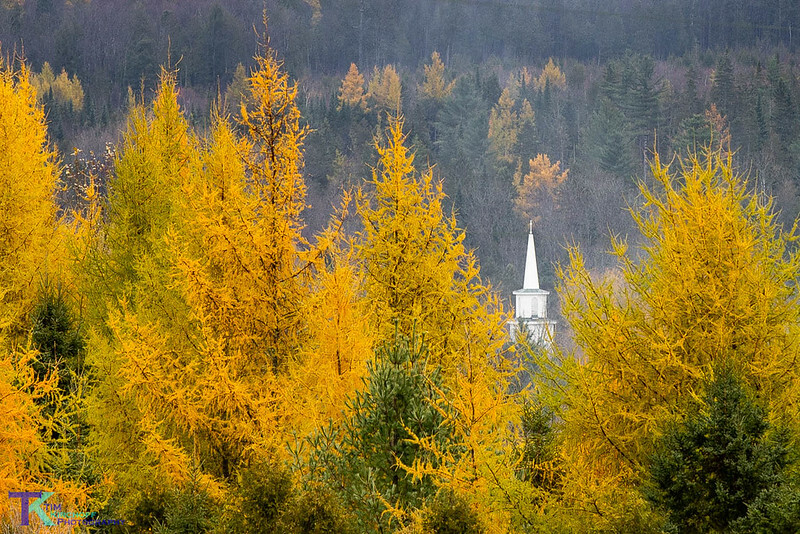 In fact, there are many tamaracks roadside along upper Rte 93 and along Rte 91 in Vermont. I love your photos, as usual. They are wonderful, all of them, but my favorite is the one with the church steeple. Thanks for the info and thanks for posting. I hope Ed has some luck when he goes up this week. Hope the upcoming Winter is good to you. I'll be following your photos and living vicariously through you during the Winter months. Tim thank you for the report, and advice on timing. If I want to catch the tamaracks in prime condition, it sounds like I may be batter off waiting until next year, and going during late October. But again, thank you very much for the information and locations. The pics that are full of tamaracks almost always look like paintings to me. Beautiful trees.